Grouse - an ecologically important group of birds that include capercaillie, prairie chickens, and ptarmigan - are distributed throughout the forests, grasslands, and tundra of Europe, Asia, and North America. Today, many grouse populations are in decline, and the conservation and management of these charismatic birds is becoming a global concern. This volume summarizes current knowledge of grouse biology in 25 chapters contributed by 80 researchers from field studies around the world. 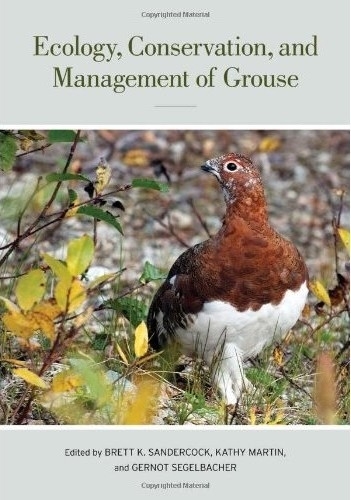 Organized in four sections - Spatial Ecology, Habitat Relationships, Population Biology, and Conservation and Management - the chapters offer important insights into spatial requirements, movements, and demography of grouse. Much of the research employs emerging tools in ecology that span biogeochemistry, molecular genetics, endocrinology, radio-telemetry, and remote sensing. The chapters explore topics including the impacts of climate change, energy development, and harvest, and give new evidence for life-history changes in response to human activities.